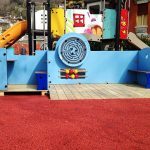 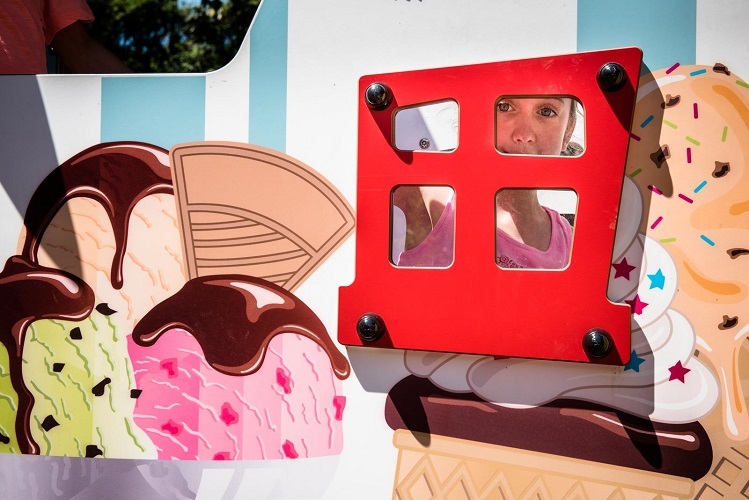 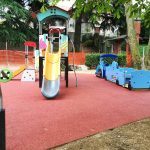 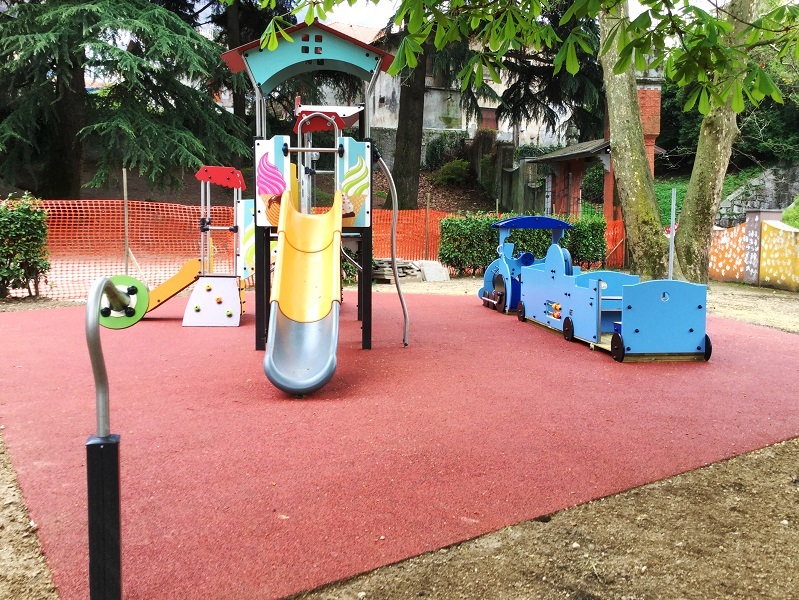 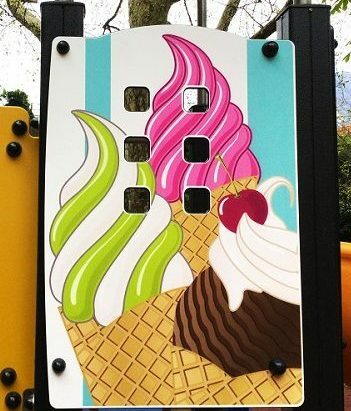 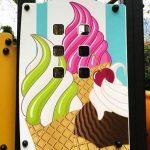 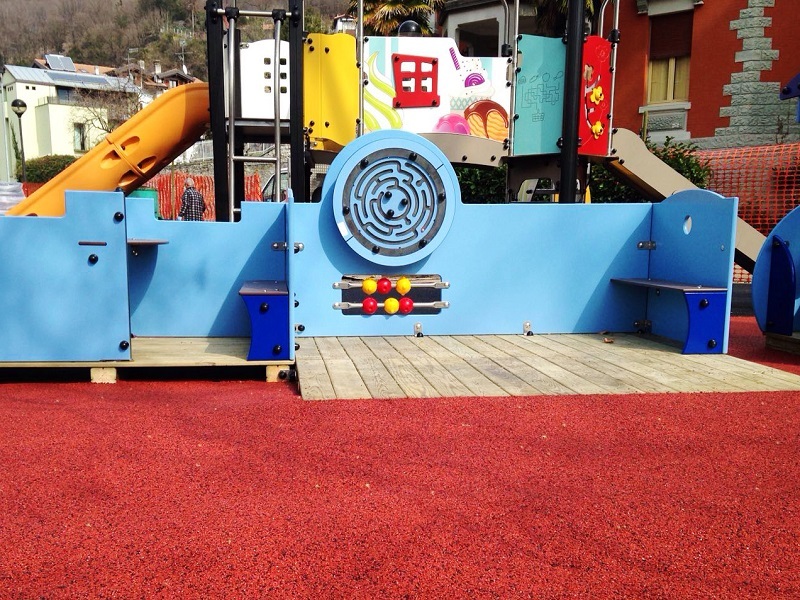 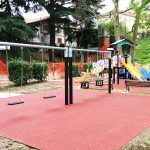 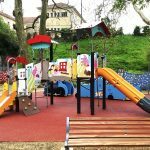 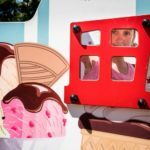 Our Proludic partners in Italy have created a delicious playground in the town of Omegna that features a Diabolo Multi-Play with ice-cream graphics, thanks to our unique Grafic Games technique. 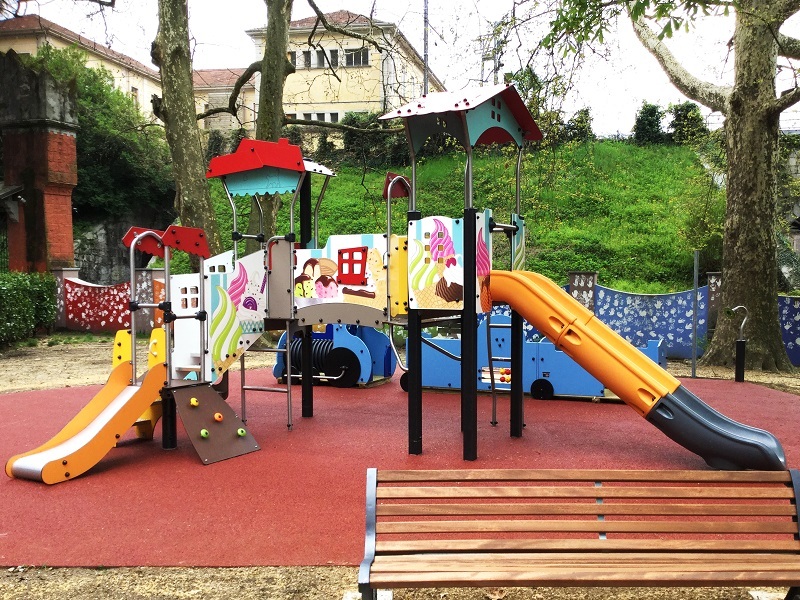 The playground is dedicated to an Italian author, Gianni Rodari, born in Omegna and most famous in Europe for his children’s books and fairy tales. 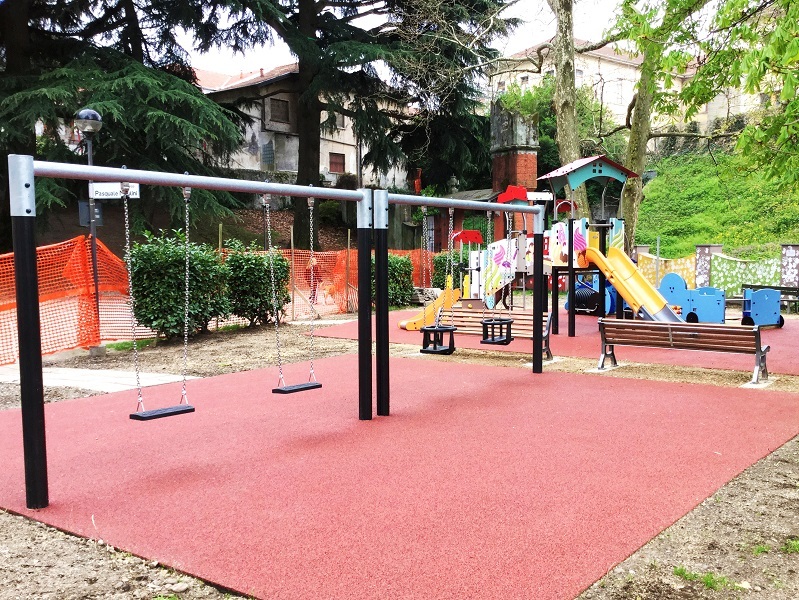 The local community of Omegna easily relates to the theme of the playground, Rodari’s unique and fantastic stories being very popular. 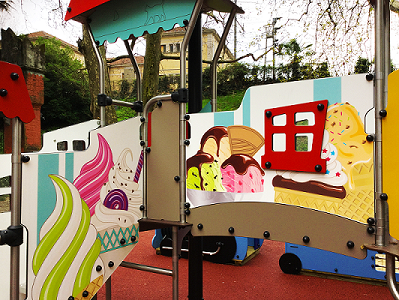 The ice-cream graphics applied on the Diabolo unit were inspired by one of Gianni Rodari’s tales “The palace made of ice cream” from his book “Fairy Tales Over the Phone” – a collection of short stories. 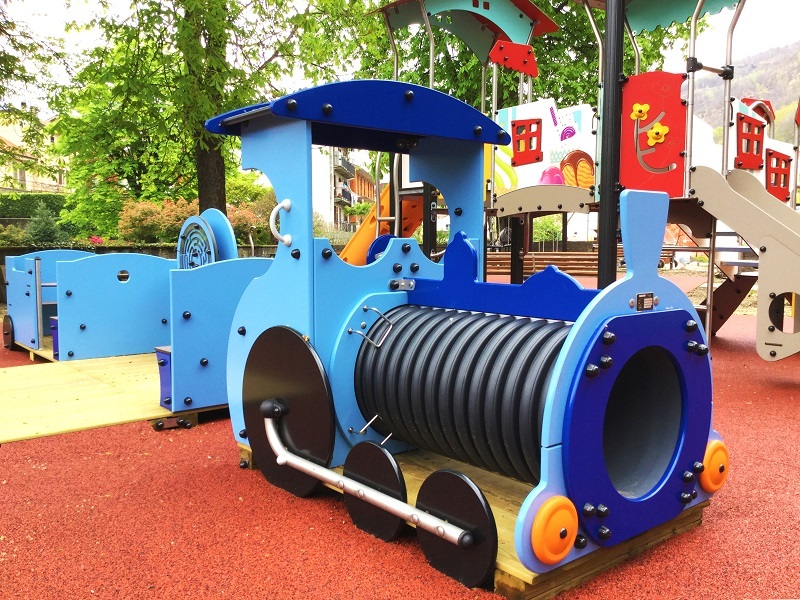 Talk Tubes have also been included in the playground in reference to the storyteller sharing stories with his child “over the phone”! 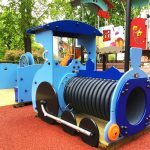 The J2607 Locomotive and J2620 Inclusive Wagon with their custom blue colours were inspired by Rodari’s book “The Blue Arrow”, a story about a toy blue train. 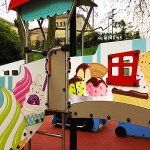 The open side and ramp of the J2620 Inclusive Wagon increases the accessibility of the play equipment to children with motor impairments.